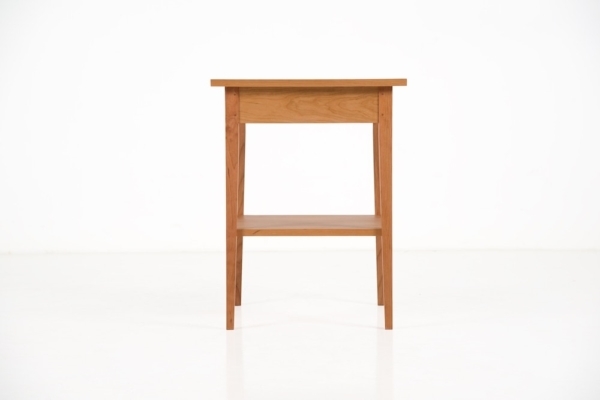 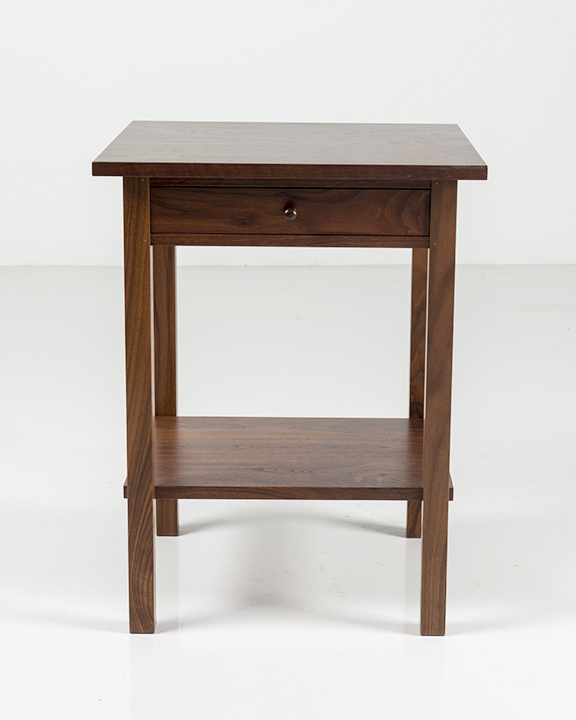 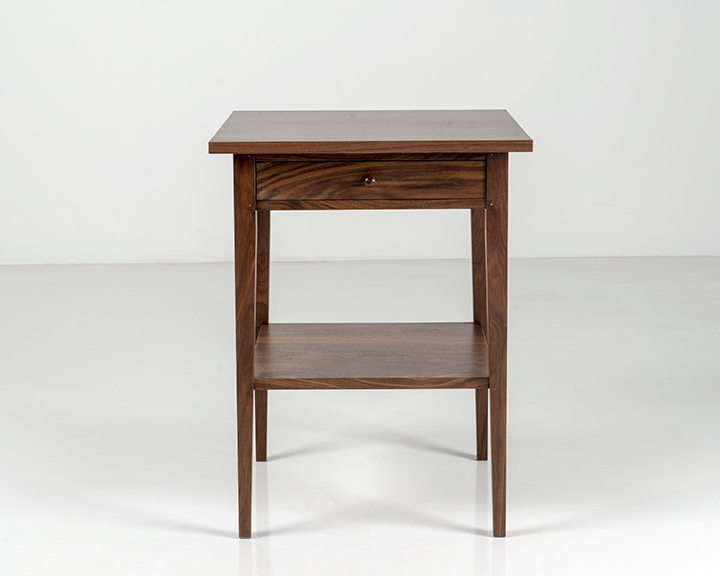 The Square End Table is rooted in Shaker tradition of creating simple, unadorned pieces that are in harmony with the material. 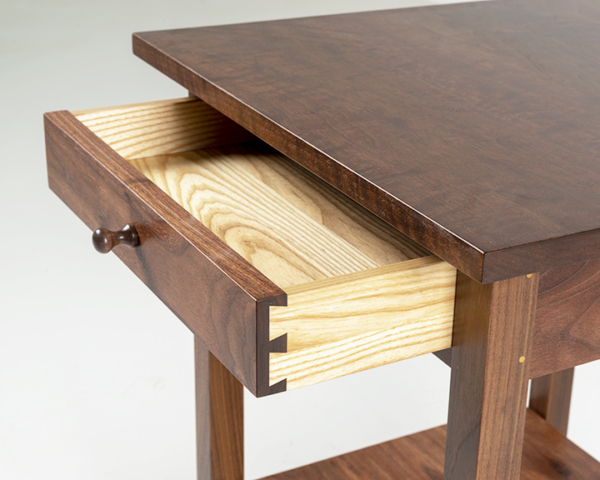 Here, the table is offered with a drawer, which slides effortless underneath the tabletop. Made first to serve its purpose, the table’s simple structure confirms our commitment to timeless design and quality craftsmanship. 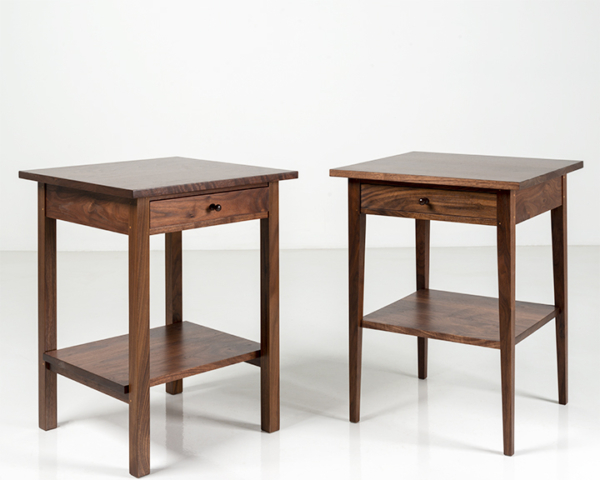 The table’s four tapered legs define its footprint and integrate with traditional joinery as they meet the tabletop. 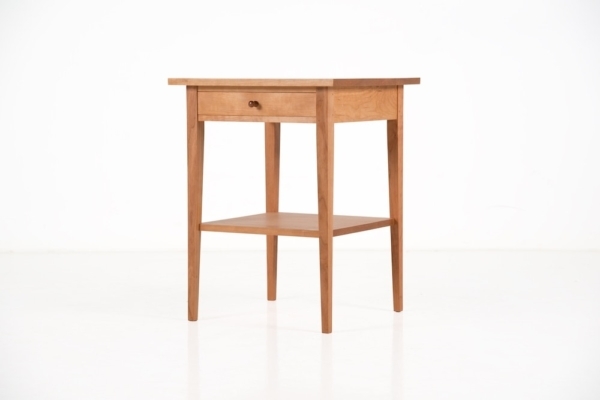 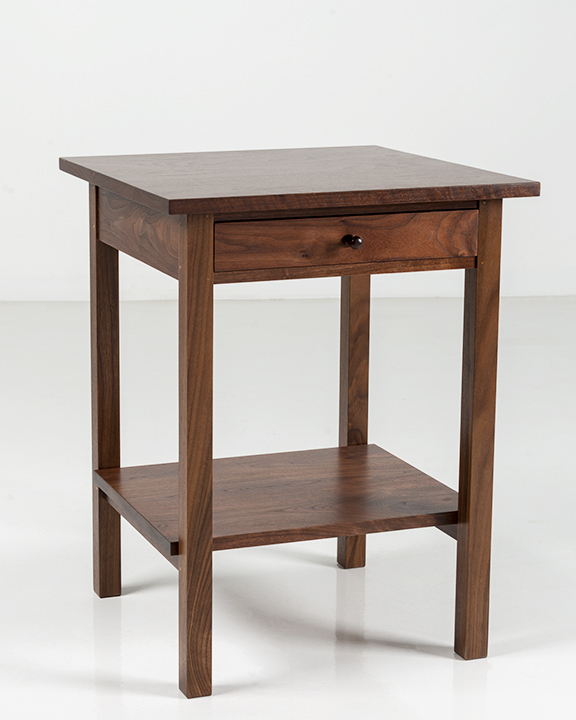 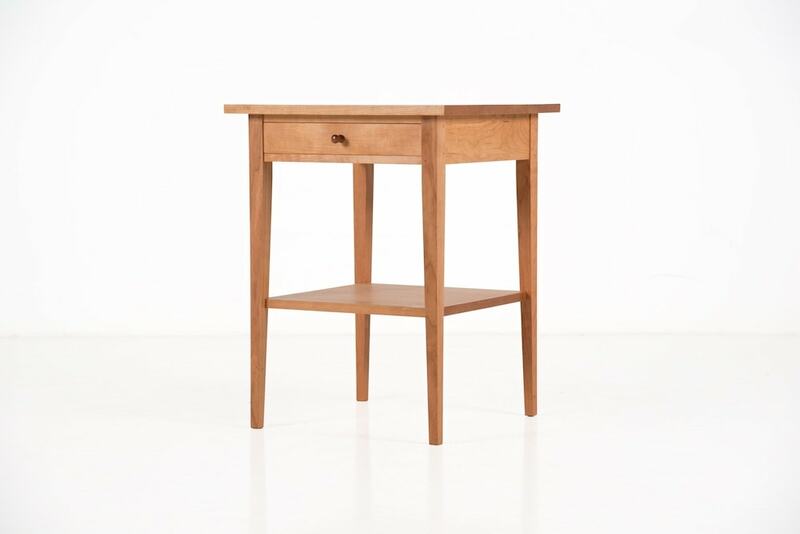 Handcrafted in a variety of North American hardwood, the Square End Table with Drawer takes its design cue from early Shaker pieces. 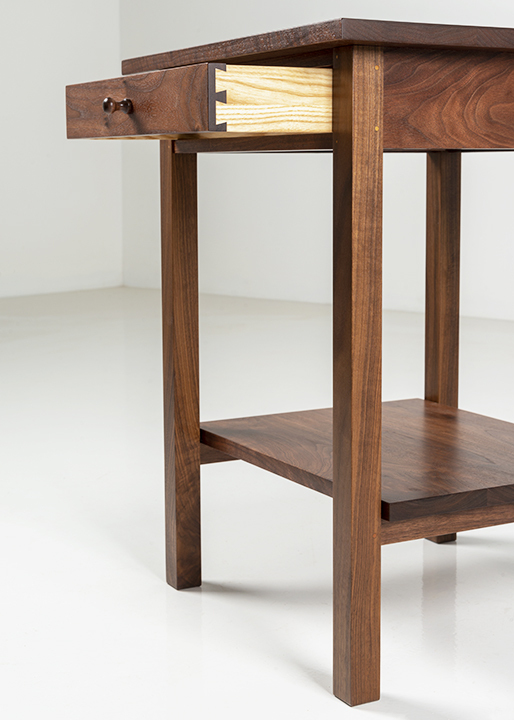 From simple legs to intricate, traditional joinery, every piece is essential and performs for generations without fail. The Square End Table captivates with its strict linear form, with a working surface that forms an appealing contrast to its tall, slender legs. 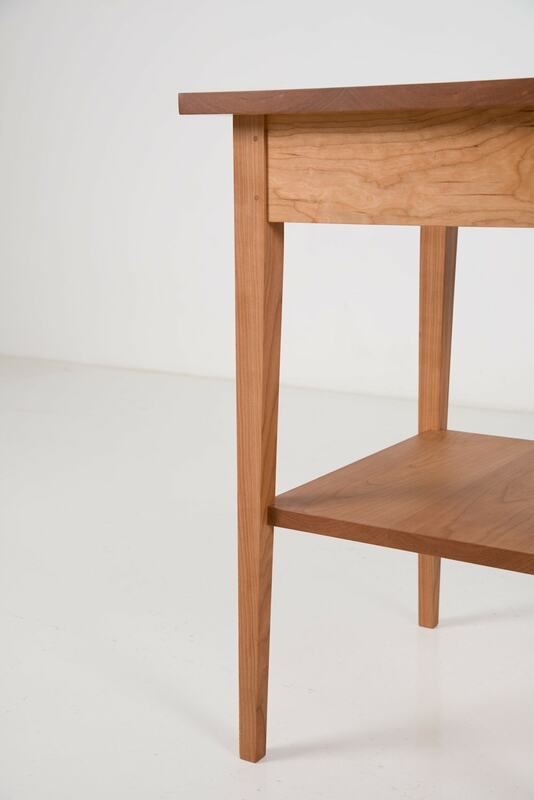 Its height creates a wealth of open space that helps to define its profile, and to allow light to play. 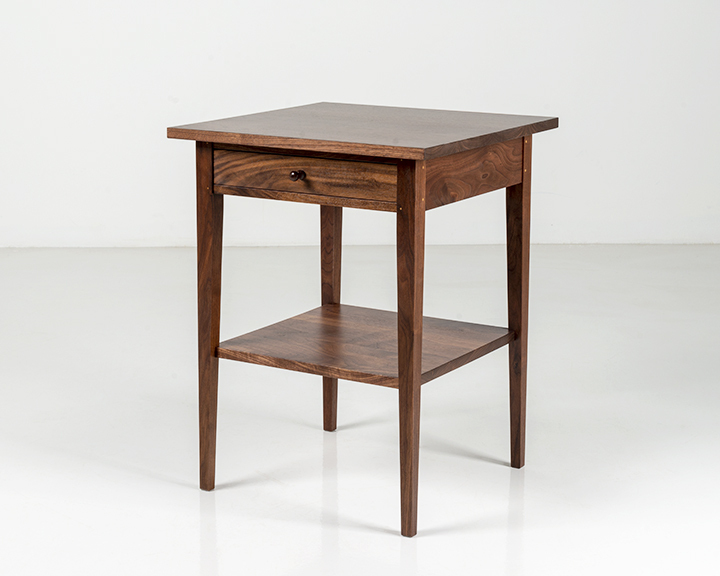 The tabletop offers ample room for a lamp, a book and reading glasses or for a morning cup of coffee. 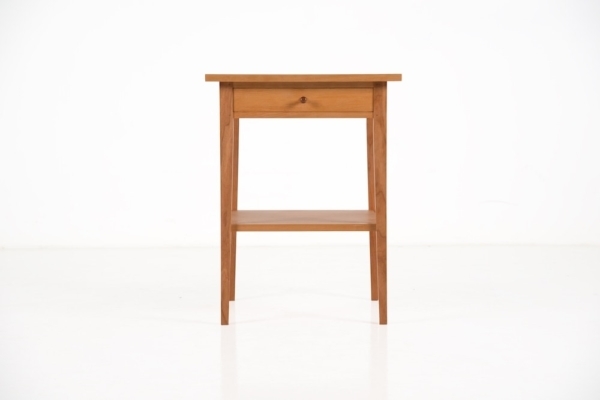 The Square End Table with Drawer is ideal for use with ensemble variety of design aesthetics, and pairs well with a bed, couch or chair, keeping reading material and other essentials in easy reach.